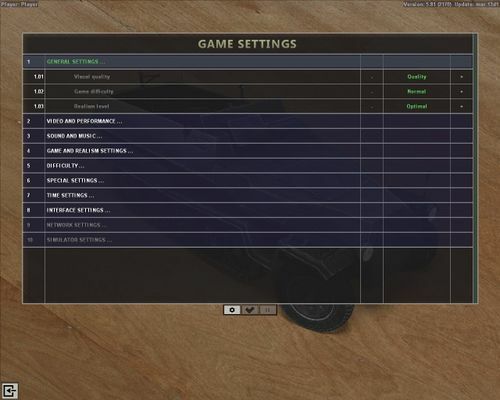 After starting the game you will see Main Menu screen. 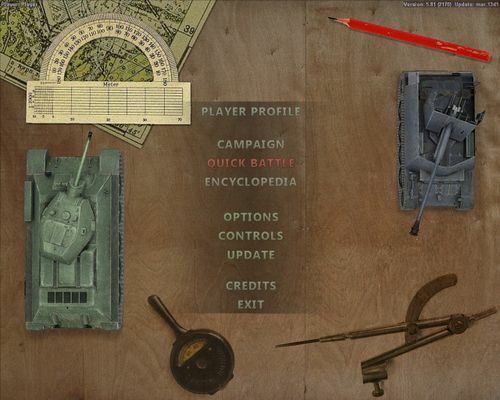 In the upper right corner the game version is displayed. Clicking on this line opens update and mods install utility. 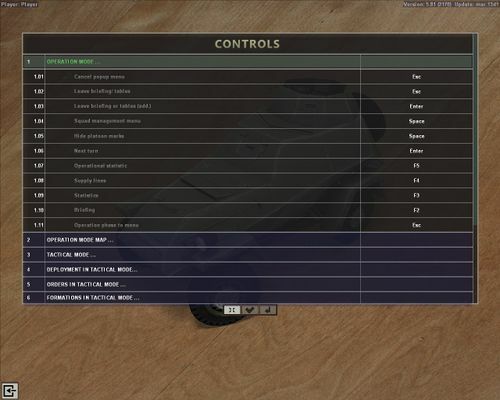 In the upper left corner the current player profile is displayed. Clicking on this line (or choosing the corresponding menu item) opens the "Player profile" screen. 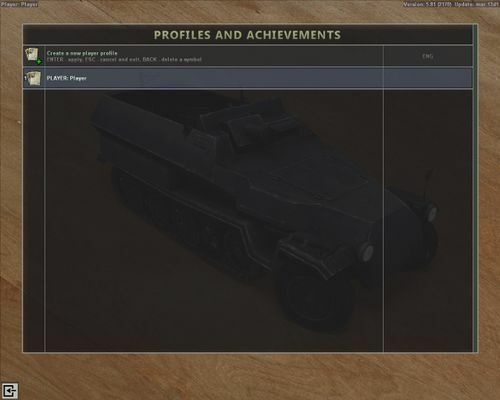 The profile screen displays a list of available player profiles, profile statistics and achievements. Clicking on icon creates a new profile. When there are several profiles available an icon appears to the right of each profile, clicking on it deletes the profile. The upper right corner displays the current keyboard layout. The settings are divided into several groups. Settings from the "General Settings" group combine several related settings from other groups for convenience. This page was last edited on 30 January 2014, at 14:00.